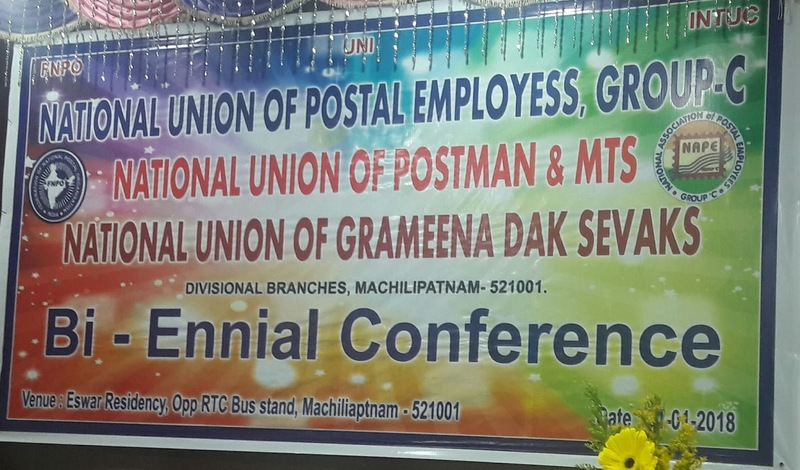 On 21-1-2018 joint bi-ennial conference of Machilipatnam division held under the presidentship of Smt. 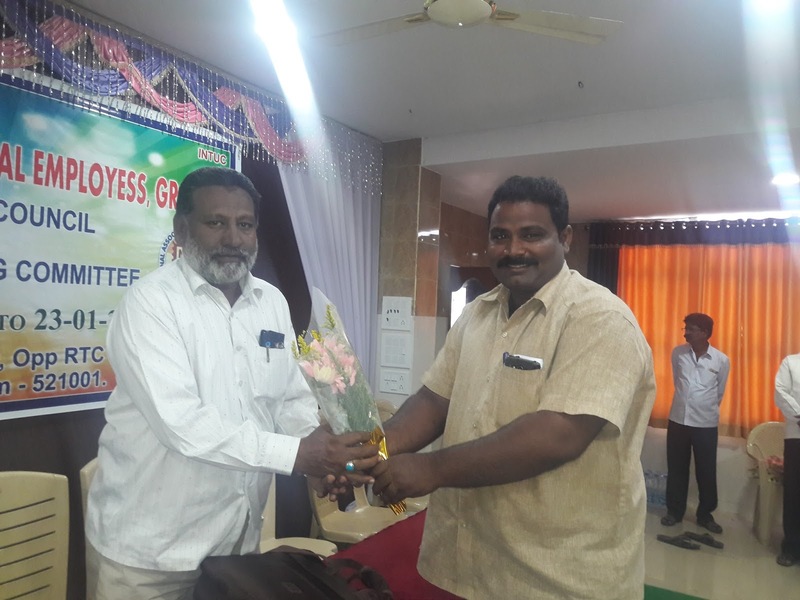 P.Padmavathi at Esawr residency. 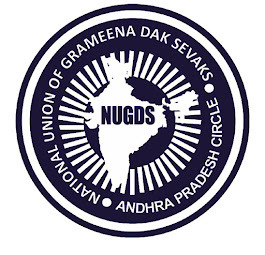 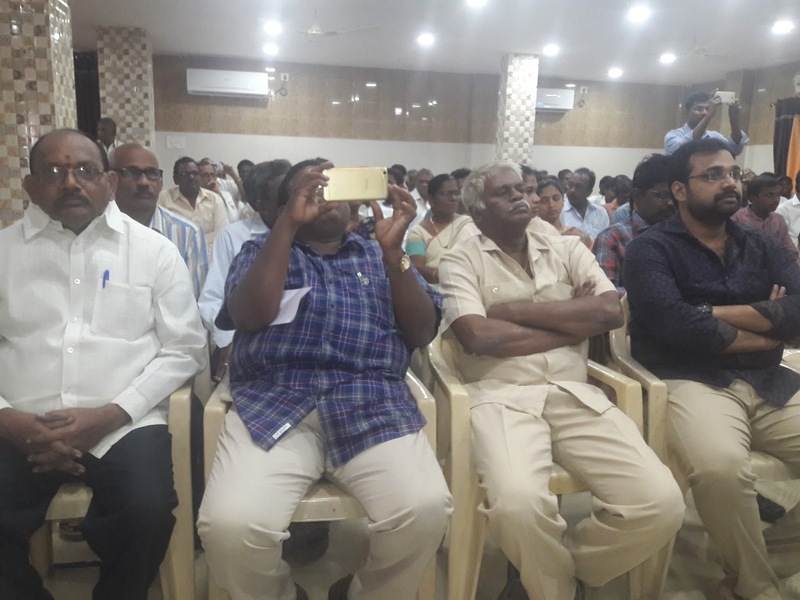 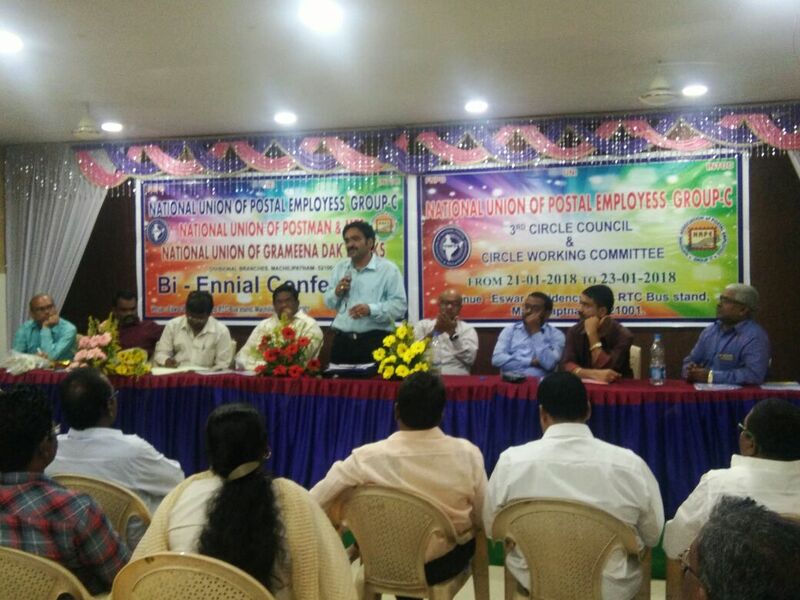 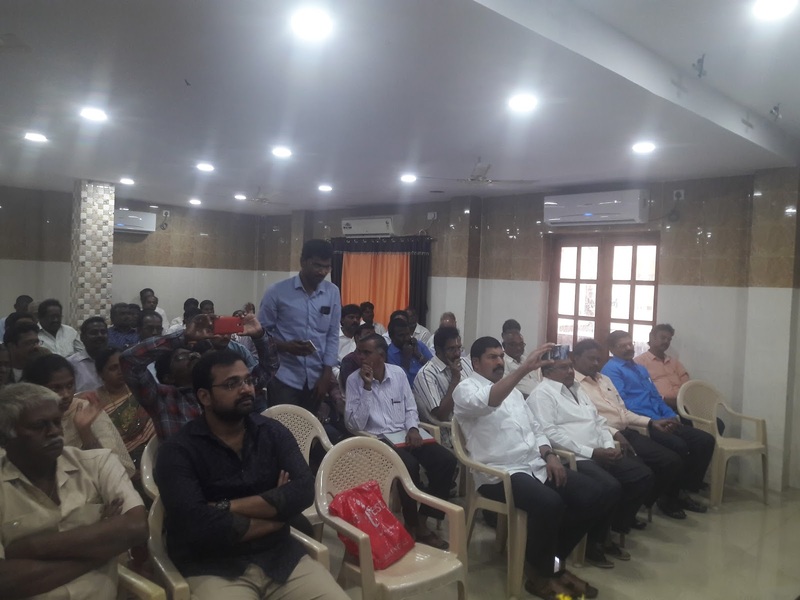 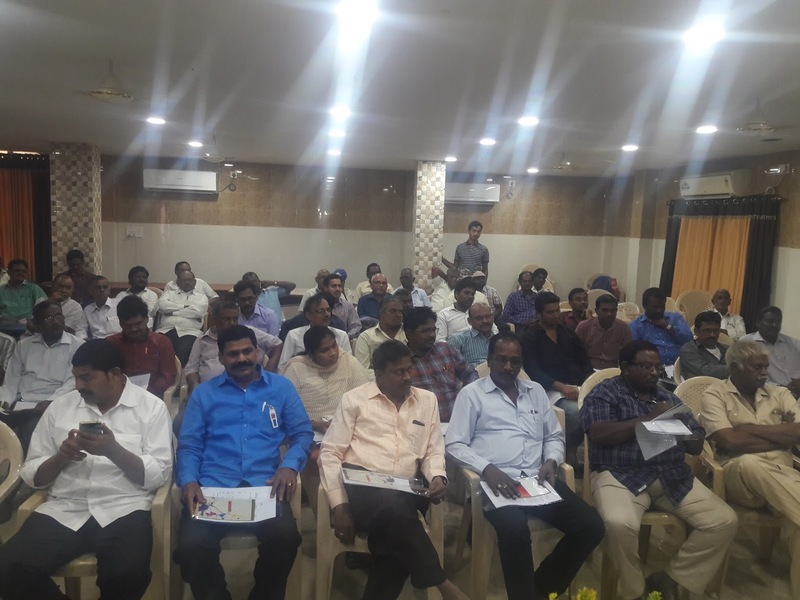 Sri D.Kishanrao, GS , Sri Sivaji vasireddy, CS , Sri Sastry cs piv and Sri Ch.Lalkashminarayana cs NUGDS were attended and addressed the gathering. 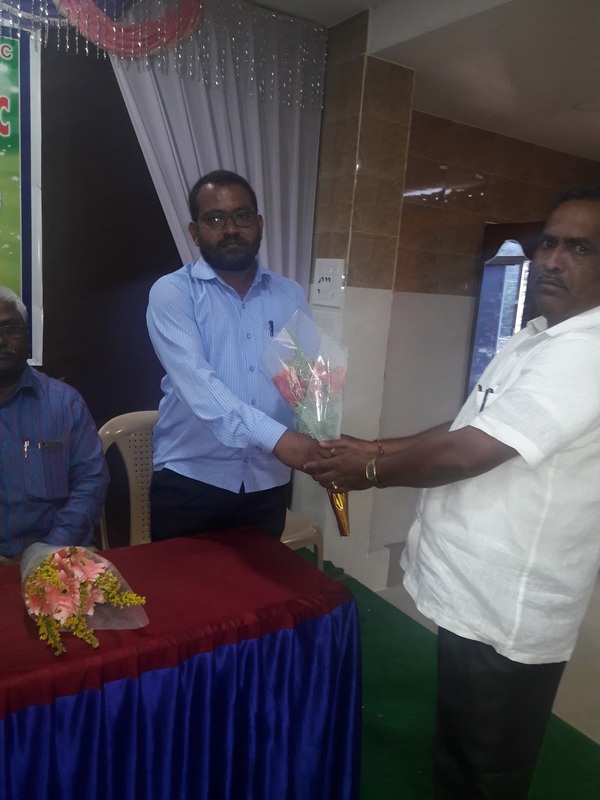 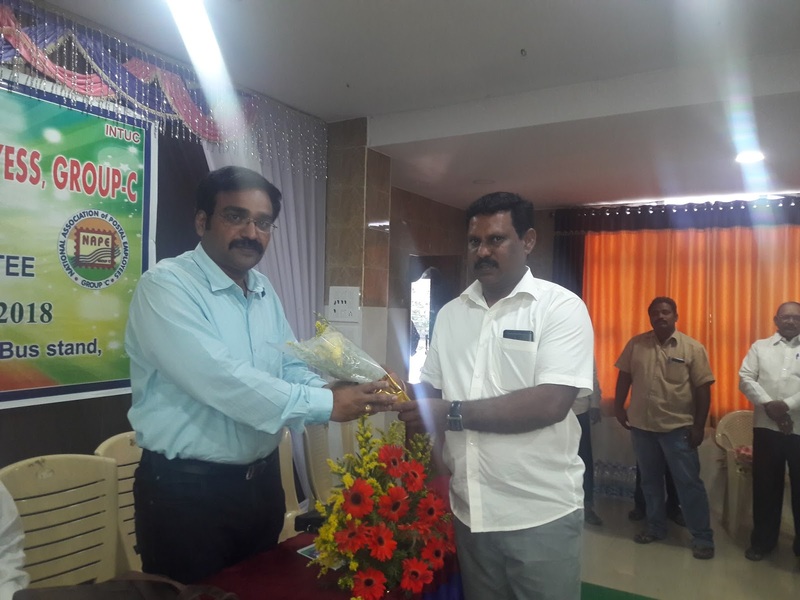 Smt P.Padmavathi, Sri M.Sivaprasad and Smt Veeranma were elected as Divisional President, Secretary and Treasurer for Group'C' ;Sri.E.Srinivasa Rao ,Sri.K.V.Narayana, Sri. 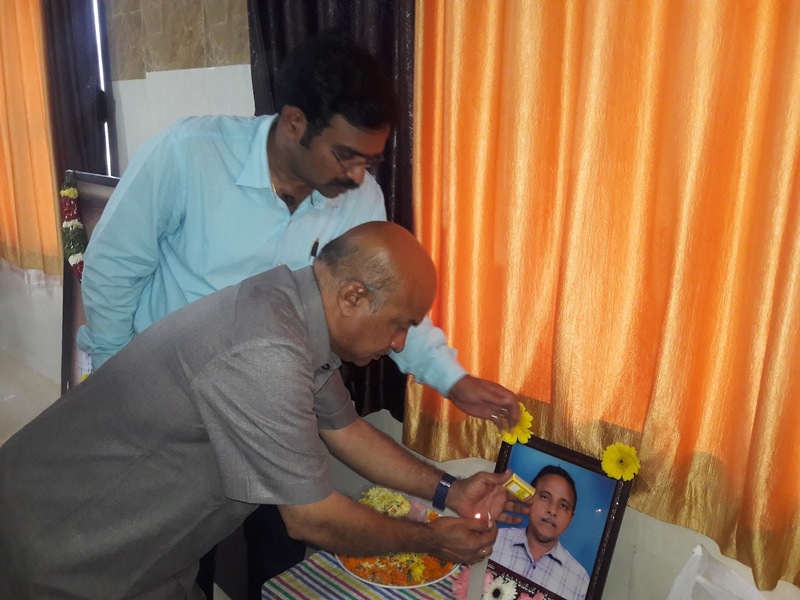 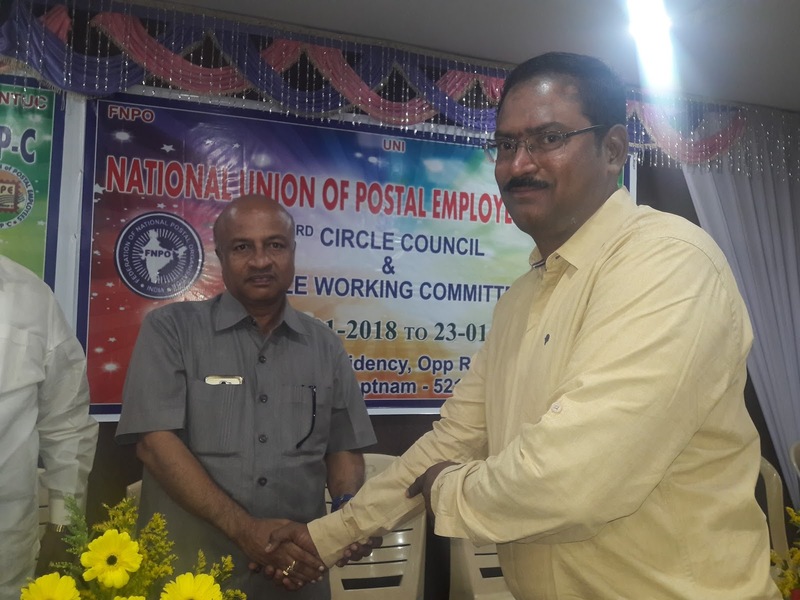 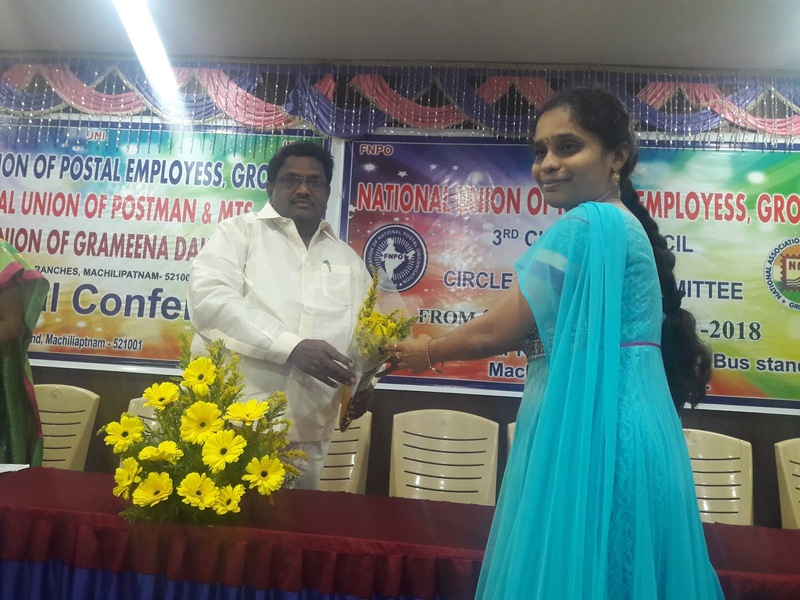 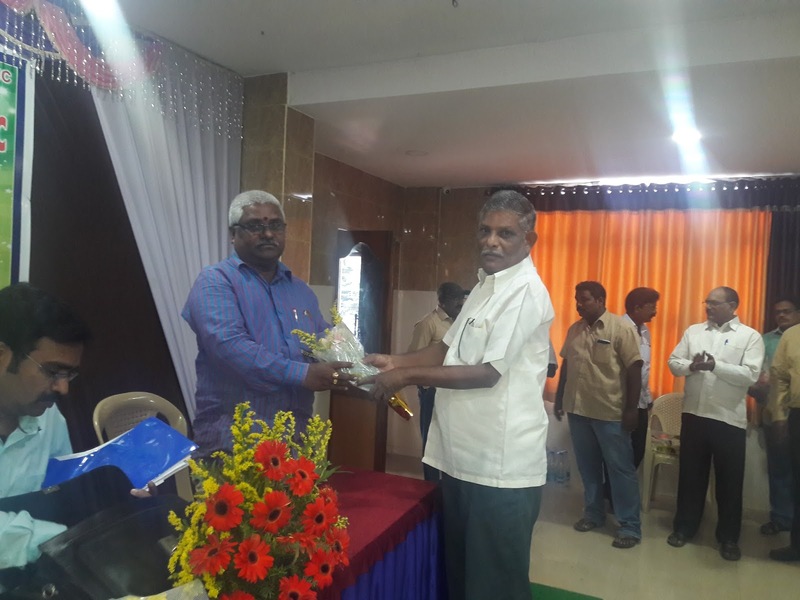 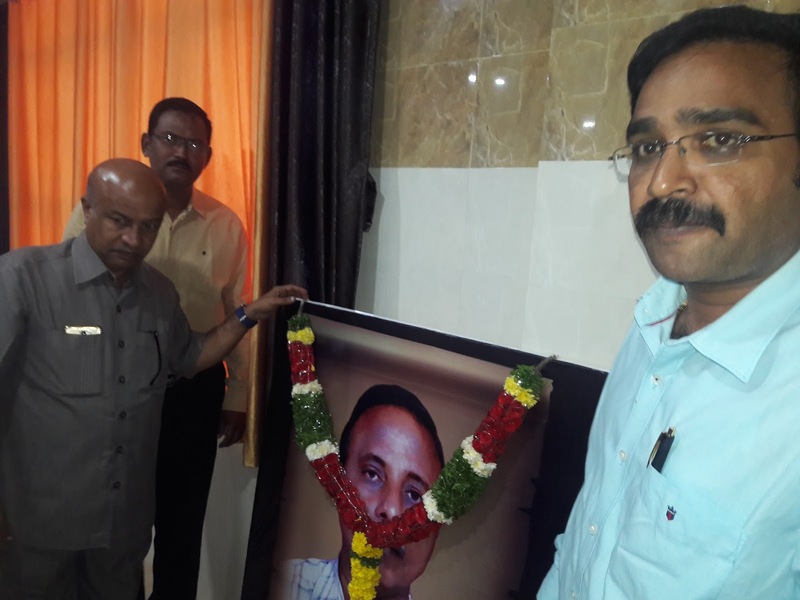 S.Bhaskara Rao for Postman&MTS respectively. 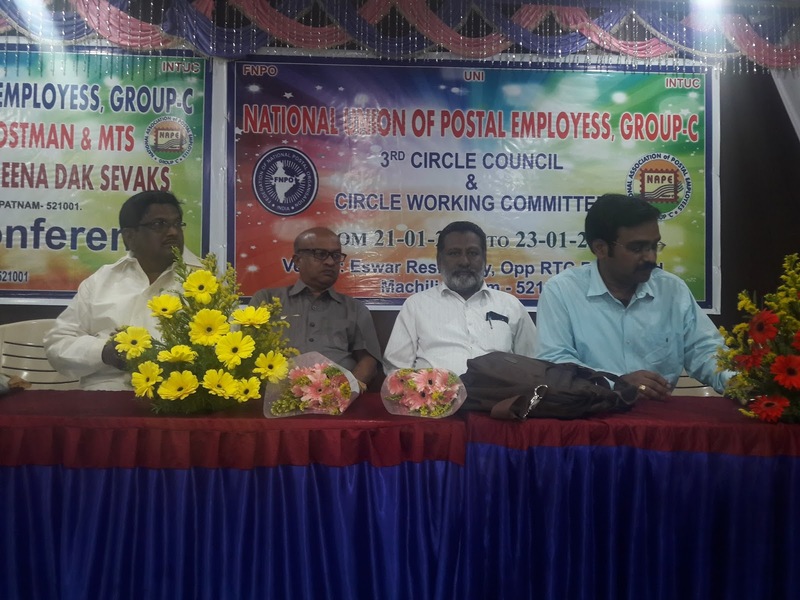 Circle union conveys best wishes to the newly elected body.